A group of geese is a gaggle, a group of owls is a wisdom, a group of flamingos is a flamboyance. 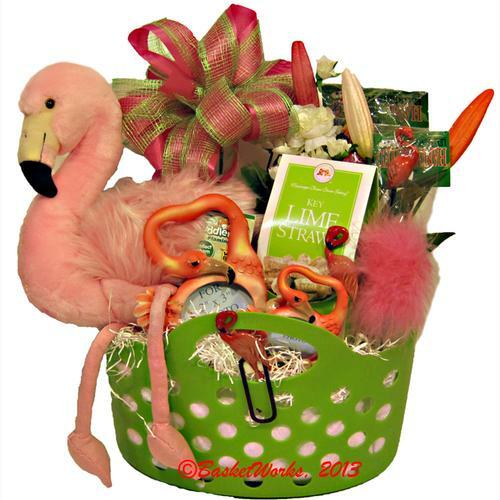 This bright package includes a large plush flamingo, two different sizes of flamingo frames, a flamingo bookmark, shoehorn, hair brush and large clip. We add a fuzzy pink pen and key lime cookies. 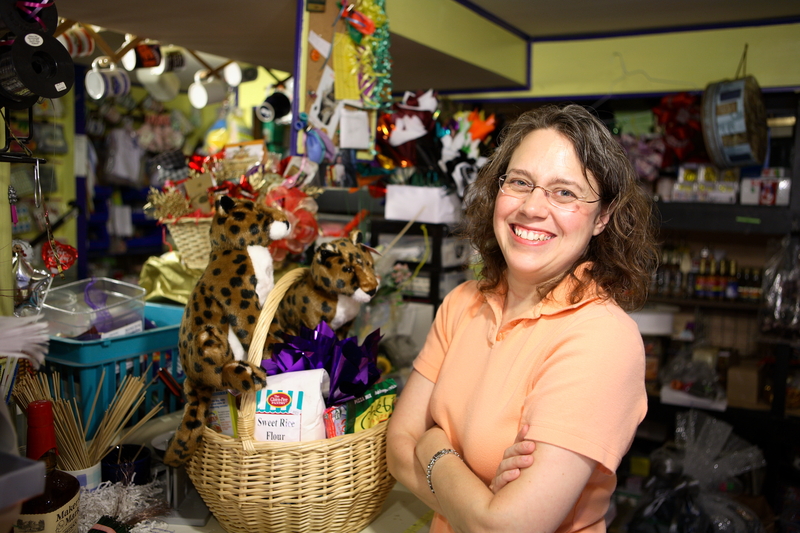 Larger packages include more tropic themed snacks and treats.